This entry was posted in Growing our own food and tagged autumn, beetroots, broccoli, broccolini, cabbages, carrots, kale, leeks, peas, silverbeet, snow peas, spring onions, turnips. It’s surprising how much can be grown during a Sydney winter. With no frosts (at least near the coast), and less bugs, we’re getting plenty out of the garden each week. The chinese cabbages are my current pride and joy. These grow very quickly, and are just about ready to be harvested. They have, however, had a mixed track record to date. Last year, they rotted in the ground, after non-stop rain for a month. This year I protected them with plastic, but the slugs have found them. Picking 3-4 slugs off them each day has meant they’ve been growing faster than they’ve been eaten, but it’s a close-run race. I’ve also tried a different approach to climbers. The teepee structures I used last winter were fine, but took up a lot of space. So this time around I screwed together some garden stakes and attached wire mesh. So far the sugar snap peas are very happy! This entry was posted in Growing our own food and tagged bok choy, cabbages, chinese cabbages, kale, pak choy, rhubarb, silverbeet, snow peas, sugar snap peas, warrigal greens, winter. Presumably due to the handful of scorching hot days, the snowpeas have decided to bolt to seed. We’ve had a reasonable number of edible pods, but once the they start to swell up (as in the photo above), the point of no return has been passed. 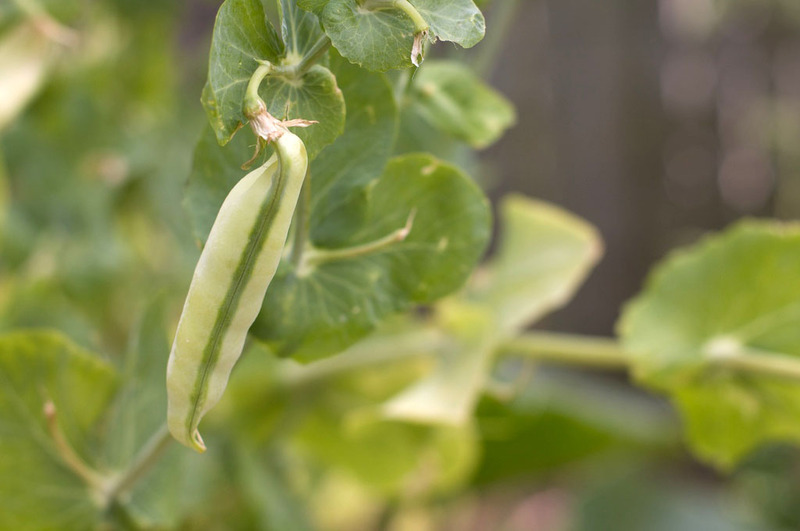 This entry was posted in Growing our own food and tagged seed, seed saving, snow peas, spring. This is what we harvested from the garden over the last few days. There are four or five good handfuls of sugar snap peas and snow peas, plus a few modest heads of broccoli and broccolini. The broccoli is just coming into its own, so I expect we’ll have quite a lot of this over the coming fortnight. As it is, this is more than enough to keep the two of us stocked up on green vegetables. And this is without harvesting the pak choy and silverbeet, which is ready and waiting. I might also pick out the two weakest heads of chinese cabbage this week, to give us something to eat, and to leave more space for the remaining plants. 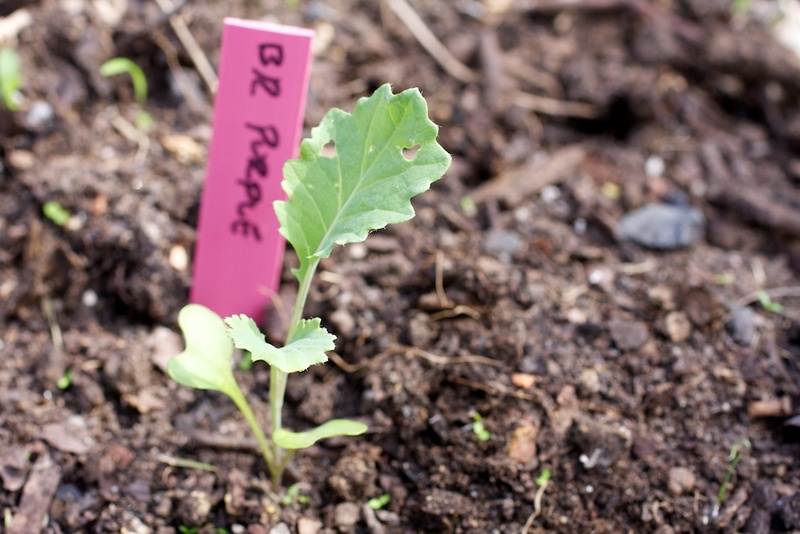 This entry was posted in Growing our own food and tagged broccoli, broccolini, gardening, snow peas, sugar snap peas, winter. As I’ve consistently highlighted, I’m making this up as I go, having never had the opportunity to have a real garden before. Of course, that’s the fun of it. One lesson now learnt: don’t wait until the sugar snap peas grow to the top of the frame before tip-pruning them. The result is that they keep growing, and keep growing, and then fall over. As you can see from the picture above, this looks more like something from Doctor Who rather than a productive collection of peas ready for the picking. By contrast, the snow peas were a great disappointment at the outset, barely growing at all.To my surprise, when they did start growing, they started producing peas from the outset. Despite being only a foot and half high, they’ve produced more snow peas than the giant pea plants of doom. My approach for next year: start tip-pruning the sugar snap peas when they get half way up the frame. Hopefully that will generate more peas, and less greenery. This entry was posted in Growing our own food and tagged gardening, pruning, snow peas, sugar snap peas, winter. The red pak choy was one of the first things we planted into the garden, and it grew at a huge rate at the outset. Then the rain and cold weather hit, and everything slowed almost to a halt. Still, I’ve been keeping my eye on the pak choy, and tonight was the night. We did a simple Thai-style stir fry of pak choy, snow peas and sugar snap peas (all out of the garden). Quickly tossed with chilli, fish sauce and lime juice. Served with noodles, yum! Still plenty of pak choy left, ready to harvest whenever the mood strikes. This entry was posted in Growing our own food and tagged pak choy, snow peas, stir fry, sugar snap peas, winter.